There's an ever-growing interest in forest kindergarten programs in the US, especially in the Pacific Northwest region. We've covered a few such programs—also known as outdoor playschools, forest schools or outdoor preschools—before on Inhabitots, but the School's Out documentary and recent reports highlighting forest kindergartens popping up around the country have led us to cast our net a little wider. 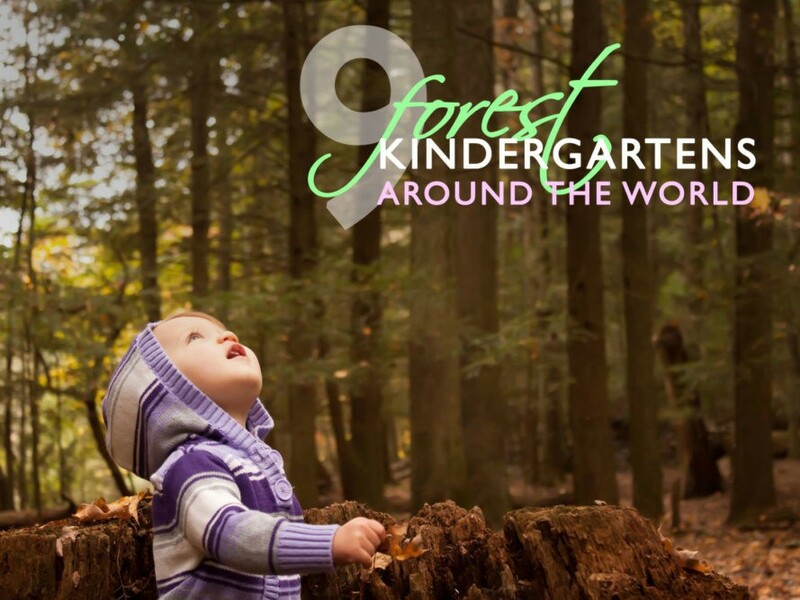 If these programs have piqued your interest, we've prepared a roundup for you of nine of the most inspirational forest kindergarten programs from around the world to showcase the various ways they are being approached and implemented. We hope the following schools will prompt you to investigate local programs further or perhaps inspire you to set up a similar preschool in your own community. It’s easy to see the appeal of forest kindergartens and outdoor playschools for parents concerned about little ones having too much screen time or by the increasing pressure for academic achievement and standardization in early childhood education. Forest kindergartens may be based on the Montessori or Waldorf systems or march to the beat of their own drum, but the one thing all of the following programs have in common is that all classes are held outdoors, except perhaps in the most inclement of weather. While the growing popularity of this educational model in North America can be viewed as a pushback against academic pressures and the all-captivating device, the history of the forest kindergarten goes all the way back to 1950s Northern Europe. The forest kindergarten or outdoor playschool is a common educational model throughout Scandinavia, followed by up to 10% of all kindergartens, and it is enjoying a resurgence in popularity there as well. The Waldkindergarten Ilmmünster is located in the forest about 35 miles north of Munich, in Bavaria. The kindergarten’s program has a strong pedagogical foundation, and daily contact with forest flora and fauna and the rhythms of nature is one of its central tenets. The “schoolhouse” is a converted railway carriage, but the majority of activities take place outdoors. The school has the philosophy that by regularly experiencing nature’s recurring rhythms—both daily and seasonally—the students gain an inner stability and balance. The children also learn that various seasons, weather and places provide different ways for them to play. 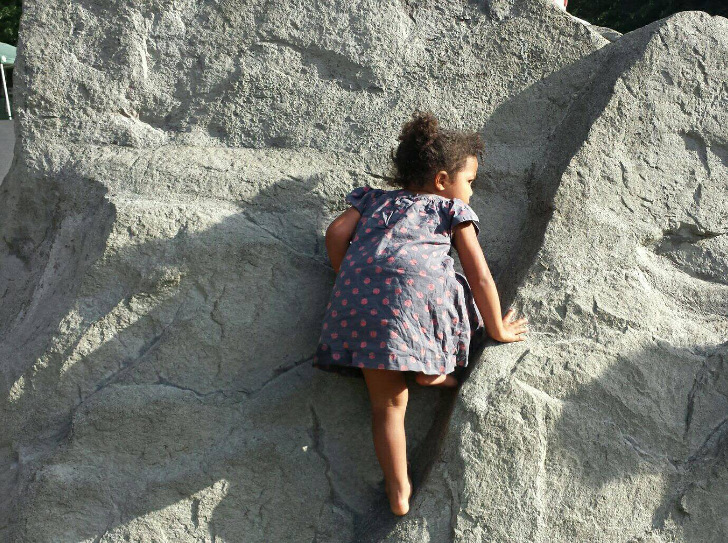 The teaching staff also believe that being in nature is most appropriate for the particular spirituality and and magical worldview of kindergarten-age children. The video above captures this magical quality, and the kindergarten’s summer festival video is pretty cute too! Fiddleheads Forest School holds classes among the cedar groves of the University of Washington Botanic Gardens Washington Park Arboretum. Founded in 2012, the school grows in popularity every year and recently added a second class to try to keep up with demand—though the waiting list is still even longer than the current student cohort! 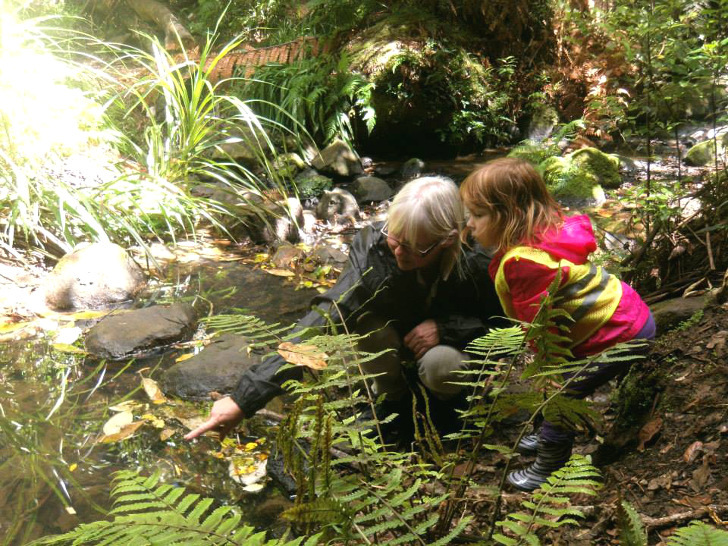 Founded by a Montessori-trained preschool teacher and a naturalist and science-educator, Fiddleheads is an entirely outdoor, nature-based program with activities revolving around play and exploration, supplemented with curriculum to further spark children’s curiosity. Students are supervised by trained teachers with a focus on providing education of the highest quality. They also benefit from the expertise of UWBG staff onsite, who may point out such things as a barred owl sighting in the gardens. For more details see the Fiddleheads Forest School web page or visit them on Facebook. The Secret Garden Outdoor Nursery is located just outside of Letham village in Fife, Scotland. The Nursery opened in 2008, and has since won the Nancy Ovens Award for Play “Outstanding Contribution to Play,” and Play Scotland’s Best Practice in Action award. It operates in a stunning 25-acre woodland (see the video above) and offers safe, explorative full-time outdoor play, 4.5 days a week. Students generally attend for between four hours and three days each week. In inclement weather, shelter is offered by a purpose-built yurt and tarps in the woods. The inspirational Brooklyn Forest School demonstrates that the outdoor playschool model can be a success even in the most urban of environments. The school was founded by Joylynn Holder and Charlie Foster, a couple who met in kindergarten on Long Island and who had the good fortune to attend a small Waldorf school that promoted academic rigor and a love of the outdoors. Once Holder and Foster became parents in Brooklyn, they decided to form their own forest school to share their vision of a nature-based education with their local community. Brooklyn Forest School now operates at three sites in Prospect Park and two sites in Central Park. New Zealand’s Play and Learn Early Education Programmes have been running since 1995, and have always been driven by a desire to provide leading-edge early education to youngsters. In addition to being influenced by the Montessori and Reggio Emilia teaching philosophies, Play and Learn now runs several formal Nature Kindergarten programs across Auckland and is also happy to provide tailored outdoor programs to self-organized groups and home-schooled children. The nature kindergartens follow the Scandinavian model, with adaptations to suit New Zealand’s culture, environment and key curriculum outcomes. This outdoor preschool is particularly inspiring due to its emphasis on continuous professional development for its teachers and its flexible and evolving approach to continually updating its early childhood learning services. Seattle’s Tiny Trees arose out of a desire to make access to childcare and preschool more affordable. After investigating many early learning models and inspired by the success of the city’s Fiddleheads Forest School, the Tiny Trees team have partnered with Seattle Parks and Recreation to put public parks to use for forest kindergartens. Reduced infrastructure costs—no buildings to maintain—means that tuition fees can be reduced and teachers can be paid more. It’s a very inspiring model and one that stands an excellent chance of reproducibility elsewhere. Starting from the 2016–17 academic year, six outdoor preschools will operate in six Seattle parks, and Tiny Trees aims to be operating 20 such preschools by 2020. Contact Tiny Trees for further details or to enroll. Eastwood Forest School is located in Roehampton, South West London, near the second largest council estate in all of Europe. The outdoor curriculum makes use of the wooded grounds of the University of Roehampton to teach big-city children valuable life lessons about caring for nature, and each other. Like the Brooklyn Forest School above, Eastwood demonstrates it is possible to follow the principles of forest school education in even the most densely populated of areas. Marutanbo is a rarity in heavily urbanized and socially ordered Japan. Located in Chizu, in western Japan, students spend five days a week exploring the local mountains, learning resilience, independence and cooperation skills along the way. Unlike most of the other kindergartens in this list, Marutanbo is not licensed and runs on grants and donations from the local community, as well as the fees paid by parents. While the video above is long form, clocking in at 47 minutes, it’s worthwhile viewing for a warts and all perspective on this much-loved local program. Many of the forest schools or kindergartens featured above are adventurous compared to their more conventional North American, British or Japanese peers. But how do forest schools operate in their birthplace, Scandinavia? The report above, by SBS Australia, features an unnamed Danish forest school where preschool kids climb literally to the treetops and whittle sticks with sharp knives. At the same time though, they know and respect the precise physical boundary that they may not cross when approaching a nearby fjord. While some of the footage may give parents heart palpitations, it’s worth bearing in mind that the preschool teacher says he has only ever had to take a child to hospital once in 17 years of running forest schools—and that was when a parent drove over a child’s foot in the car park! More details on this story can be found here. It's easy to see the appeal of forest kindergartens and outdoor playschools for parents concerned about little ones having too much screen time or by the increasing pressure for academic achievement and standardization in early childhood education. Forest kindergartens may be based on the Montessori or Waldorf systems or march to the beat of their own drum, but the one thing all of the following programs have in common is that all classes are held outdoors, except perhaps in the most inclement of weather. While the growing popularity of this educational model in North America can be viewed as a pushback against academic pressures and the all-captivating device, the history of the forest kindergarten goes all the way back to 1950s Northern Europe. The forest kindergarten or outdoor playschool is a common educational model throughout Scandinavia, followed by up to 10% of all kindergartens, and it is enjoying a resurgence in popularity there as well. The Waldkindergarten Ilmmünster is located in the forest about 35 miles north of Munich, in Bavaria. The kindergarten's program has a strong pedagogical foundation, and daily contact with forest flora and fauna and the rhythms of nature is one of its central tenets. The "schoolhouse" is a converted railway carriage, but the majority of activities take place outdoors. The school has the philosophy that by regularly experiencing nature's recurring rhythms—both daily and seasonally—the students gain an inner stability and balance. 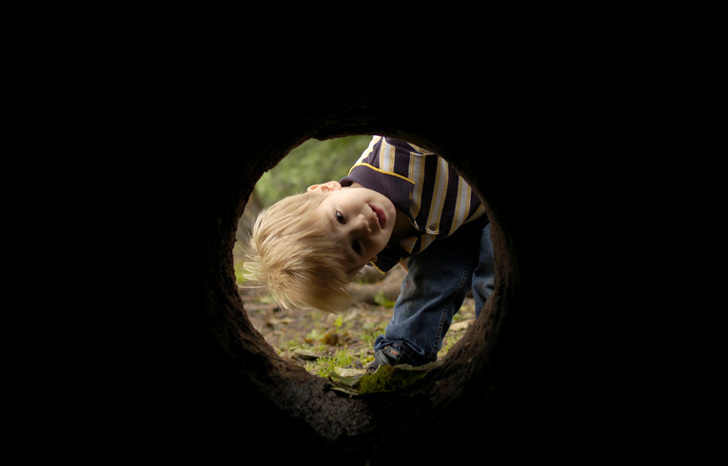 The children also learn that various seasons, weather and places provide different ways for them to play. The teaching staff also believe that being in nature is most appropriate for the particular spirituality and and magical worldview of kindergarten-age children. The video above captures this magical quality, and the kindergarten's summer festival video is pretty cute too! Fiddleheads Forest School holds classes among the cedar groves of the University of Washington Botanic Gardens Washington Park Arboretum. Founded in 2012, the school grows in popularity every year and recently added a second class to try to keep up with demand—though the waiting list is still even longer than the current student cohort! Founded by a Montessori-trained preschool teacher and a naturalist and science-educator, Fiddleheads is an entirely outdoor, nature-based program with activities revolving around play and exploration, supplemented with curriculum to further spark children's curiosity. Students are supervised by trained teachers with a focus on providing education of the highest quality. They also benefit from the expertise of UWBG staff onsite, who may point out such things as a barred owl sighting in the gardens. For more details see the Fiddleheads Forest School web page or visit them on Facebook. The Secret Garden Outdoor Nursery is located just outside of Letham village in Fife, Scotland. The Nursery opened in 2008, and has since won the Nancy Ovens Award for Play "Outstanding Contribution to Play," and Play Scotland's Best Practice in Action award. It operates in a stunning 25-acre woodland (see the video above) and offers safe, explorative full-time outdoor play, 4.5 days a week. Students generally attend for between four hours and three days each week. In inclement weather, shelter is offered by a purpose-built yurt and tarps in the woods. New Zealand's Play and Learn Early Education Programmes have been running since 1995, and have always been driven by a desire to provide leading-edge early education to youngsters. In addition to being influenced by the Montessori and Reggio Emilia teaching philosophies, Play and Learn now runs several formal Nature Kindergarten programs across Auckland and is also happy to provide tailored outdoor programs to self-organized groups and home-schooled children. The nature kindergartens follow the Scandinavian model, with adaptations to suit New Zealand's culture, environment and key curriculum outcomes. This outdoor preschool is particularly inspiring due to its emphasis on continuous professional development for its teachers and its flexible and evolving approach to continually updating its early childhood learning services. Seattle's Tiny Trees arose out of a desire to make access to childcare and preschool more affordable. After investigating many early learning models and inspired by the success of the city's Fiddleheads Forest School, the Tiny Trees team have partnered with Seattle Parks and Recreation to put public parks to use for forest kindergartens. Reduced infrastructure costs—no buildings to maintain—means that tuition fees can be reduced and teachers can be paid more. It's a very inspiring model and one that stands an excellent chance of reproducibility elsewhere. Starting from the 2016–17 academic year, six outdoor preschools will operate in six Seattle parks, and Tiny Trees aims to be operating 20 such preschools by 2020. Contact Tiny Trees for further details or to enroll. Marutanbo is a rarity in heavily urbanized and socially ordered Japan. Located in Chizu, in western Japan, students spend five days a week exploring the local mountains, learning resilience, independence and cooperation skills along the way. Unlike most of the other kindergartens in this list, Marutanbo is not licensed and runs on grants and donations from the local community, as well as the fees paid by parents. While the video above is long form, clocking in at 47 minutes, it's worthwhile viewing for a warts and all perspective on this much-loved local program. 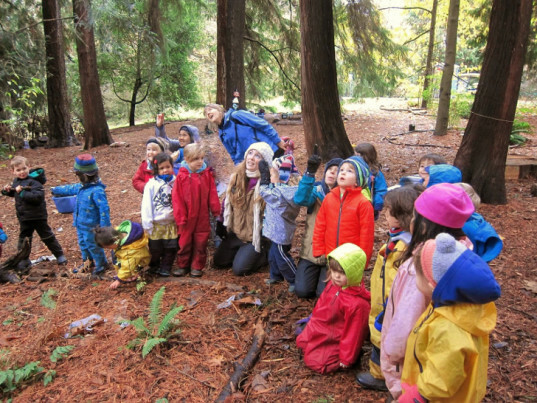 Many of the forest schools or kindergartens featured above are adventurous compared to their more conventional North American, British or Japanese peers. But how do forest schools operate in their birthplace, Scandinavia? The report above, by SBS Australia, features an unnamed Danish forest school where preschool kids climb literally to the treetops and whittle sticks with sharp knives. At the same time though, they know and respect the precise physical boundary that they may not cross when approaching a nearby fjord. While some of the footage may give parents heart palpitations, it's worth bearing in mind that the preschool teacher says he has only ever had to take a child to hospital once in 17 years of running forest schools—and that was when a parent drove over a child's foot in the car park! More details on this story can be found here.